Hydro-Air Systems specializes in hydraulic transient modeling, surge control equipment design, fabrication and field testing in municipal and industrial pipeline applications. What is a Hydropneumatic Tank? 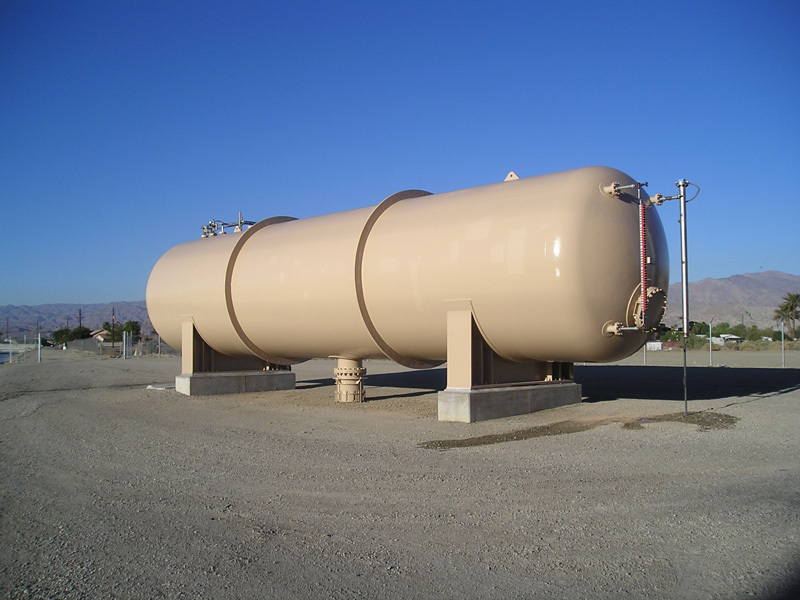 A hydropneumatic tank contains pressurized air and water. It does not have a bladder and air is in direct contact with the water. Delivers water within a selected pressure range so the well pump is not continuously running. Prevents a pump from starting up every time there is a minor call for water from the distribution system. Minimizes pressure surges (water hammer). Well pumps and booster pumps work with pressure tanks to maintain a consistent pressure range in the system. The pressure tank maintains the pumping-cycle rate required to avoid overheating the pump motor and premature motor failure. Hydropneumatic tanks work best with an air cushion of ¼ to ½ the tank capacity. This cushion decreases as water absorbs air and the tank loses its ability to pressurize the system. To keep that from happening, there must be an automatic way to replenish the air volume. 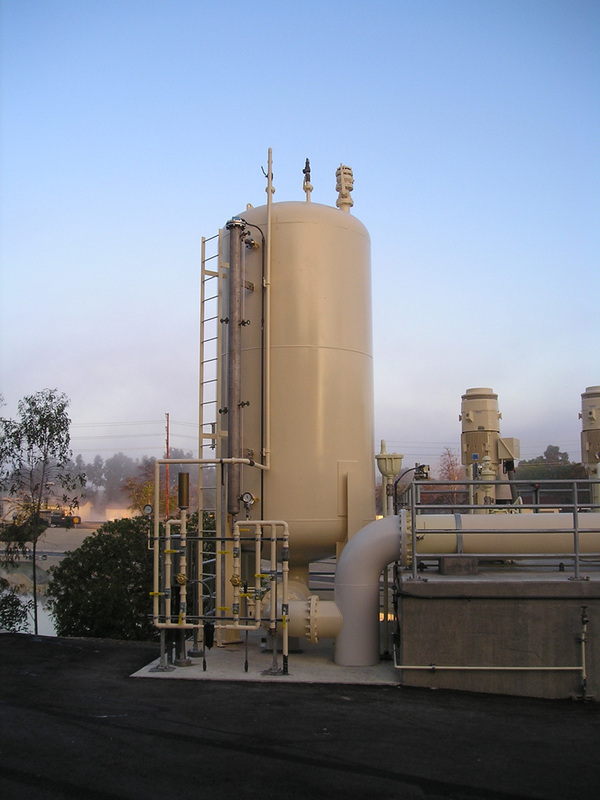 Adding air manually is not the best way to ensure proper pressure-tank operation over time. If a pressure tank becomes waterlogged, the motor cycles on and off too frequently (more than six times an hour). Higher energy costs. It takes a lot of electricity to get a pump motor started and operating at full speed. Inefficiency. The deeper the well, the longer it takes the pump to move water up and out into the system. A well pump may cycle so frequently that only a small amount of water reaches the distribution system before it turns off again. Equipment failure. Frequent starts and stops can overheat the pump and lead to premature motor failure. liquid-level switch with a time delay relay, and a pressure switch. These features may be together inside a cover mounted on top of the tank or installed separately. The liquid-level switch senses the water level with an electrode suspended inside the tank. maintain the desired water level inside the pressure tank by controlling when the air compressor runs. As air dissolves into the water, the water level inside the tank rises and air pressure falls. The compressor begins to pump air into the tank when the water levelrises above the electrode and the air pressure falls below the pressure switch setting. A timedelay circuit in the liquid-level switch prevents rapid cycling of the air compressor due to waves in the tank. Air charging systems maintain the proper water level by mechanically adding and releasing air into the pressure tank. There are no sensors or switches. There are many types of air charging systems. They are most common on older galvanized tanks. One air charge system uses a bleeder orifice and a snifter valve on the well-pump discharge line to add air whenever the pump cycles. The bleeder orifice allows water to drain out of the riser pipe and the snifter valve lets air into the pipe when the pump stops. Check valves prevent water from flowing back into the well. When the pump starts again, it pushes the air that replaced the water in the pipe between the snifter and bleeder orifice into the tank. That air lowers the water level in the tank. As the water level drops, the float attached to the air release valve swings downward opening the air release valve, which lets excess air out. When the float rises to set point, the release valve closes. When the pump starts again, the process repeats. Another air charge system uses a Schrader valve to draw air into the line before the pressure tank. An air release valve discharges excess air from the tank. When a jet pump is used, the suction line introduces air into the tank through a snifter or Schrader valve.